El Paso, Texas is a great place to plan a getaway that has many things to see and do. The place is filled with history, shopping, parks, festivals, sporting events and more! Not to mention, this is a great place to go to get out of the cold weather for all you snow birds out there. Here is a list of the top things to do while in El Paso! Cielo Vista Mall– El Paso’s main shopping destination with over 140 specialty stores! Spend the day dining, enjoying a movie, or shopping for the latest fashion trends. El Paso Zoo– Houses exotic animals all over the world representing 220 species. See the Amur leopard and the Aruba rattlesnake. Explore family attractions such as the African Star Train and more! For Broadway productions, musicals, concerts and more, be sure to check out the Plaza Theatre or the Abraham Chavez Theatre, which is shaped like a sombrero. Western Playland Amusement Park– Make sure to check out this amusement park for thrilling rides, water slides and attractions. You don’t want to miss the exciting steel roller coaster, El Bandido. Sunland Park Racetrack & Casino– a Thoroughbred racing track and casino filled with entertainment. Test your luck at the table games, slot machines and more. Wyler Aerial Tramway– Found at Franklin Mountains State Park. The Tramway features an aerial cable car on the Franklin Mountains. Ride up the gondola and see the breathtaking view. At the top, there is an observation deck and a gift shop. El Paso Museum of Art for American, Mexican, contemporary, and European collections. National Border Patrol Museum– Offers free admission and features exhibits like vehicles, weapons, uniforms of the border patrol, and operations exhibits. Centennial Museum and Gardens– This museum is part of the University of Texas at El Paso and focuses on the natural and cultural history of the Chihuahuan Desert region. Themes of the exhibits are related to border life and culture, the Americas, and UTEP activities. El Paso Museum of Archaeology – Presents 14,000 years of prehistory. Experience how the American Indian lived from the Ice Age to their modern Indian descendants. Franklin Mountain State Park– This beautiful park provides great hiking, picnicking, bird watching, biking and rock climbing. Hueco Tanks State Historic Site– Offers great hiking, rock climbing, bird watching, picnicking and stargazing. Chamizal National Memorial– Explore the park grounds that stand for peace and commemorate the peaceful settlement of the Chamizal boundary dispute. Ascarate Park, this large, public-use recreational park offers sports fields, a lake, fishing, picnicking, 2 pools, playgrounds and an 18 hole golf course. 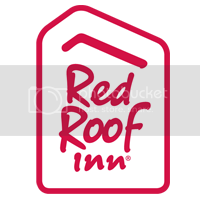 With so much to do and see, it is best to get the most out of your travel experience by staying at the budget friendly Red Roof Inn El Paso. With the money you save, you can experience more of the city! The NextGen® rooms at this 100% Smoke Free inn feature Rest Suite beds by Serta, high-end bedding, modern design flooring, a flat-screen TV, & free WiFi. They also offer free coffeehouse-style coffee and tea in the lobby.